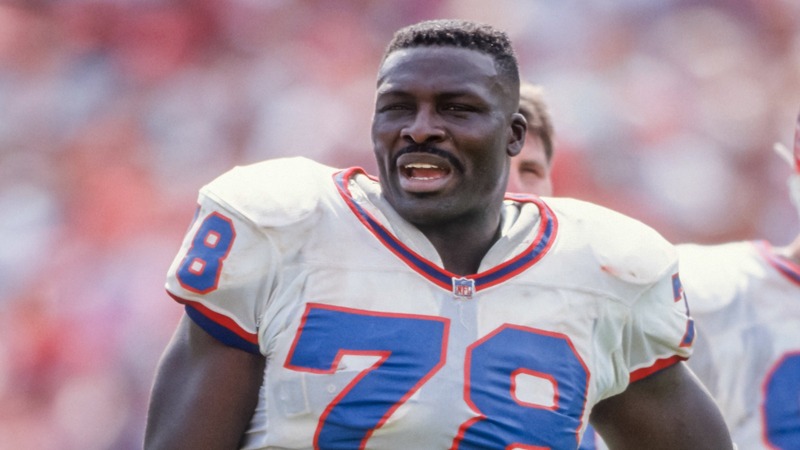 The Buffalo Bills will retire Hall of Fame defensive end Bruce Smith’s No. 78 during their 2016 home opener in Week 2. THIS is why 78 will never be worn again on the Bills. The team posted this statement on its website Wednesday: "We will be honoring Bruce Smith, one of the greatest players in Bills history, during our Thursday night home opener in a special halftime ceremony in which we’ll retired his jersey number. On behalf of Kim and Terry Pegula and the entire Bills organization, we feel this is a tremendous opportunity to honor Bruce and his Hall of Fame career. We believe it’s going to be a great night for Bruce and his family and Bills fans everywhere." Smith, drafted first overall by the Bills in 1985, played his first 15 NFL seasons with Buffalo before finishing his career with the Washington Redskins (2000-03). During his time with the Bills, he played in four consecutive Super Bowls (1991-94) and was named Defensive Player of the Year twice (1990, 1996). During his 19-season NFL career, he collected 200 sacks, which still ranks first all-time. He was inducted into the Hall of Fame in 2009. Hall of Fame QB Jim Kelly — Smith’s teammate in Buffalo from 1986-96 — is the only other player to have his number (12) retired by the Bills.